The Colorado Supermax prison houses the worst of the worst among federal inmates, most in utter isolation. Dzhokhar Tsarnaev may soon call it home. FLORENCE, Colo. — In an old mining town in the sandy foothills of the Rockies, a group of squat brick buildings is hidden behind high fences and coiled razor wire and guarded by roving patrols and sharpshooters in gun towers. These heavily fortified buildings in the high desert house the US Penitentiary Administrative Maximum Facility, the nation’s highest-security prison, a so-called Supermax known as the Alcatraz of the Rockies. 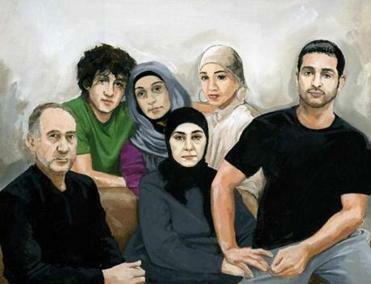 The forbidding place, where the nation’s most violent offenders and terrorists are confined, is where Dzhokhar Tsarnaev is likely to end up if just one of 12 jurors decides to sentence the convicted Marathon bomber to life in prison. What distinguishes the ADX, as it’s known, from other federal prisons is that it was designed for solitary confinement. Many of the more than 400 prisoners are required to spend 23 hours a day alone in their 7-by-12-foot concrete cells, where they receive all their meals on trays slid through small holes in the steel doors, see limited natural light from a sliver of a window, and are permitted little contact with anyone other than guards and staff. When prisoners are allowed out of their cells, they are escorted by multiple guards and are required to wear leg irons, handcuffs, and belly chains. Their recreation hour is usually spent in a small outdoor cage, which is surrounded by high gray walls with a view of the sky etched by barbed wire. A five-month Globe investigation of the two suspects in the Marathon bombings and their deeply dysfunctional family. Tsarnaev could also be sent to the ADX if the jury sentences him to death, Hood and others said, but it’s more likely that the Federal Bureau of Prisons would assign him to the penitentiary in Terre Haute, Ind., where he could spend years, perhaps decades, among other death row inmates as his lawyers appeal his sentence. Since the federal government reinstated capital punishment in 1988 only three federal prisoners have been executed, out of 74 sentenced to death. 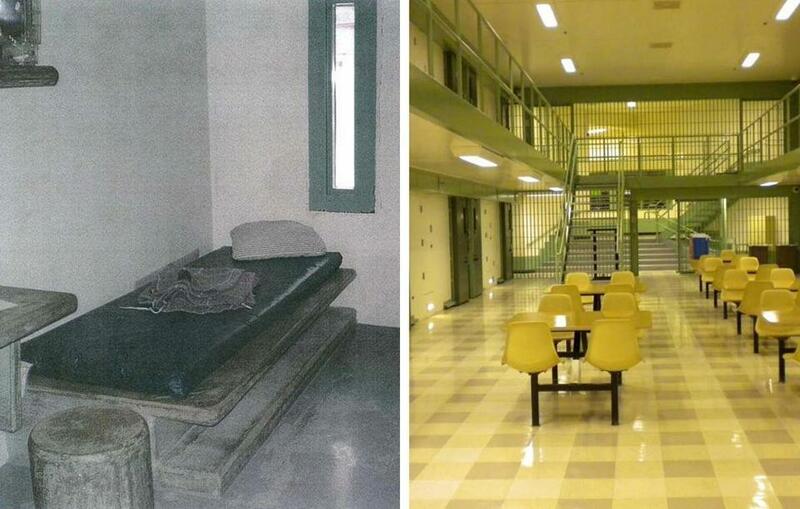 Tsarnaev could potentially have many more privileges and amenities if he is sent to Terre Haute. The prison there allows inmates, including some of those on death row, to congregate in “leisure activity” rooms, where they can play chess or cards, watch color TV, cook meals bought from the commissary in microwaves, and collaborate on art projects. If they are not put on special restrictions, they are permitted 300 minutes of nonlegal telephone calls a week and can send relatives e-mails. They can earn money in jobs as orderlies, borrow compact discs from the library to play on personal CD players, and use recreation areas that offer equipment such as stationary bicycles, treadmills, and computers. At the ADX, life is much lonelier and more monotonous. Tsarnaev, if he is sent to the forbidding facility, would join other notorious prisoners such as Ted Kaczynski, the Unabomber; Atlanta Olympics bomber Eric Rudolph; Zacarias Moussaoui, who helped plan the attacks on Sept. 11, 2001; shoe bomber Richard Reid; and Ramzi Yousef, the mastermind of the 1993 bombing at the World Trade Center. 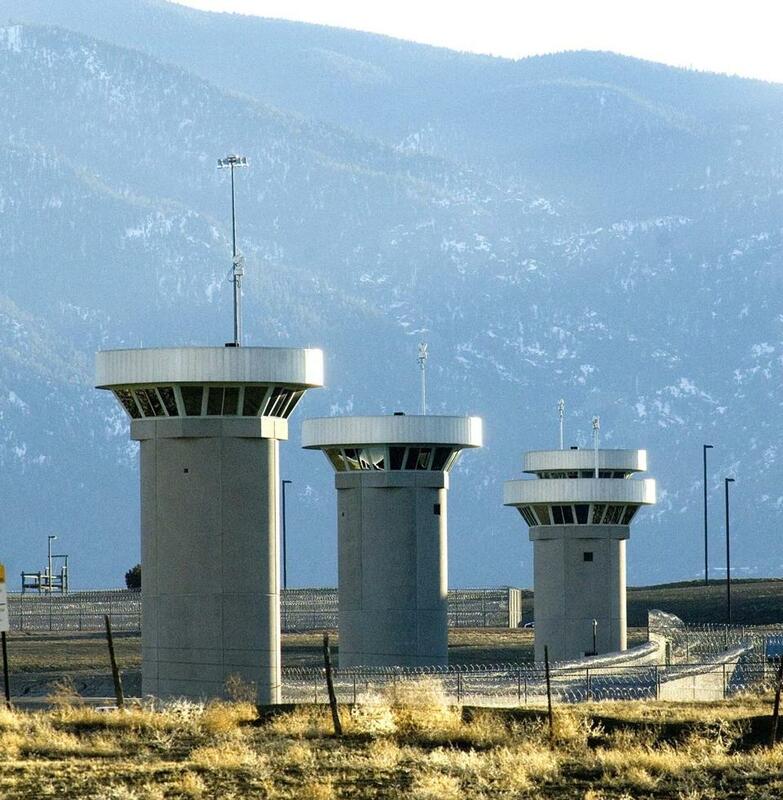 Guard towers loom over the federal facility in Florence, Colo., the highest-security prison in the United States and home to more than 400 prisoners. The prison was initially designed as a place to modify the behavior of inmates who committed violence at other penitentiaries, allowing them additional privileges over a period of years and ultimately a transfer to another prison if they complied with the rules. But in more recent years it has also become a permanent home for those convicted of terrorism-related crimes. Tsarnaev’s privileges in prison are already limited and are likely to continue to be strictly controlled after his sentencing by so-called special administrative measures, which restrict his contact with other people and must be approved once a year by the US attorney general. The 21-year-old from Cambridge, who was convicted this month on all 30 charges of conspiring with his late brother to kill three people and injure 260 others near the Boston Marathon finish line on April 15, 2013 and also in the murder of a Massachusetts Institute of Technology police officer several days later, would likely end up in the ADX’s H Unit, which is reserved for prisoners who are subject to special restrictions on contact with others. That would mean he would be confined to his cell 23 hours a day, allowed three showers a week, and likely be limited to one 15-minute call a month to one of a few relatives, which would be monitored. Visits, even with his attorneys, would have to be conducted through Plexiglas and by telephone. Even his letters would be strictly limited — in length and to whom he could write. His cell, like all the other solitary units, would include an unmovable concrete stool, a concrete desk, and a concrete slab for a bed, with a thin foam mattress on top. He would have a combination sink-toilet and be allowed to buy a 10-inch black-and-white TV, which would let him watch major networks and some basic cable channels. Prison officials use televisions as leverage to control inmates’ behavior, threatening to remove them if prisoners fail to comply with the rules, Hood said. 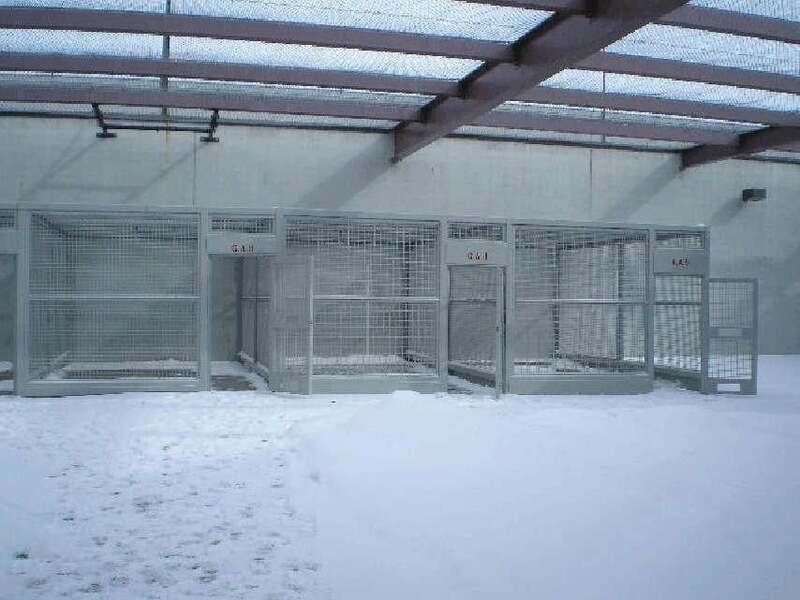 Supermax cells are fitted with immovable concrete furniture. 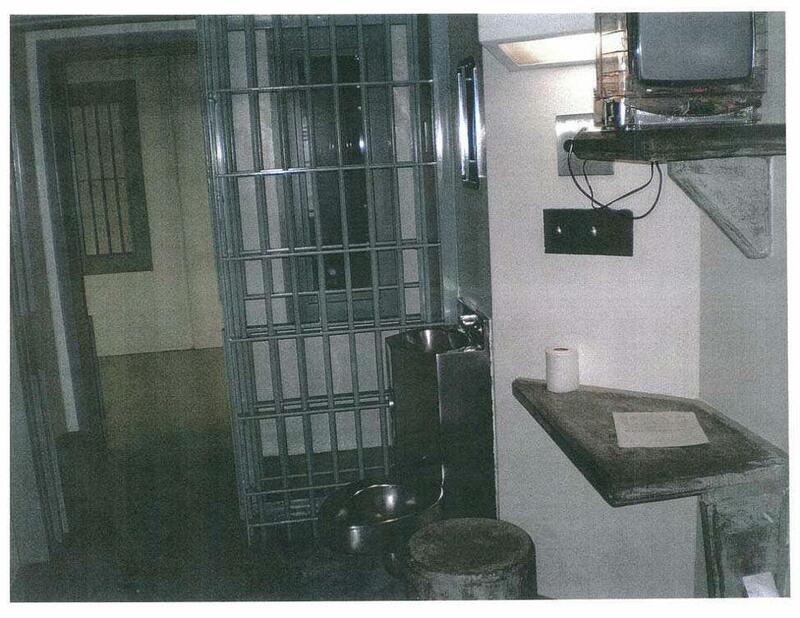 For one hour a day, Tsarnaev would have access to either an indoor recreation room with one pull-up bar, or the outdoor cage, where he could walk around and breathe fresh air. He would also have access to a library cart and could buy a limited number of items from the prison’s commissary, such as candy or toothpaste, though many of the items for sale could be barred to him by the special administrative measures. She said the isolation is so overwhelming for prisoners that one of her clients befriended a wasp that somehow flew into his cell, feeding it and talking to it like a friend. Others have resorted to trying to communicate with fellow prisoners by yelling through vents and their cell’s plumbing. She and others cited court documents showing that seven prisoners have committed suicide since the ADX opened in 1994, the last occurring in 2013, when a prisoner hanged himself with a bed sheet. No one has ever escaped. The interior of the US Penitentiary Administrative Maximum Facility is stark, quiet, and very clean. Fellow attorneys in Denver and Washington, D.C., filed a class-action lawsuit against the Bureau of Prisons in 2012, arguing that the prolonged solitary confinement at the ADX is cruel, especially for those prisoners with mental illnesses. Those attorneys declined to speak on the record, citing the litigation. Officials from the Bureau of Prisons denied the Globe’s request to visit the ADX and would not answer any questions about the prison. “As our primary focus at the ADX is on the day to day operations of the institution, there is, consequently, no allotted time for additional activities, to include personal interviews or tours,” wrote John Oliver, ADX’s warden, in a letter to the Globe. The government and the attorneys have been discussing a potential settlement for more than a year. It could result in changes at the prison that could reduce the degree of isolation of prisoners like Tsarnaev. One exercise option for inmates is to walk in an outdoor cage. Levasseur, now 68, said his vision deteriorated significantly while at the ADX, but with so little to look at, he didn’t notice. His hearing, on the other hand, became more acute. He said it would get “deathly quiet,” and all he could hear was his heartbeat. Then the silence would be interrupted by the “huge racket” of the doors of his cell abruptly rolling open for regular sight checks by the guards. “That produces paranoia,” he said. He described the relatively antiseptic prison as “almost odorless,” except for the meals, which he said were mainly starchy foods like macaroni, potatoes, and cereals, with no second helpings allowed or wanted. Outside the manicured grounds of the ADX, which is more than 5,000 feet above sea level and shares a campus with lower-security federal prisons, few neighbors seemed concerned about the potential arrival of another notorious convict. In the city of nearly 4,000 people, where rusting trailers molder on cinder blocks and pawnshops hawk gold and guns, neighbors said they trust the security at the ADX. Others said they were unconcerned, even if Tsarnaev somehow made it past all the remotely controlled doors, barbed wire, hundreds of cameras, and other electronic surveillance.